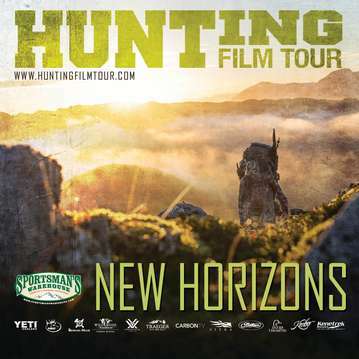 Join us for the Hunting Film Tour Premier presented by Beyond Rubicon in Albuquerque, NM! The show will be on March 17th, 2018 at the South Broadway Cultural Center. The event will be in support of Patriot Hunts. Come out and enjoy our two hour conservation minded, fair chase hunting film filled with awesome stories and breathtaking cinematography! Tickets will be available in advance for $15 online through www.southbraodwaytickets.com and at Sportsman's Warehouse, Cabelas, Hit or Miss Archery Center and the Archery Shoppe. Doors will open at 5:00pm, the film will begin promptly at 5:30pm. Be sure to come out early to catch up with your hunting buddies and make some new ones!